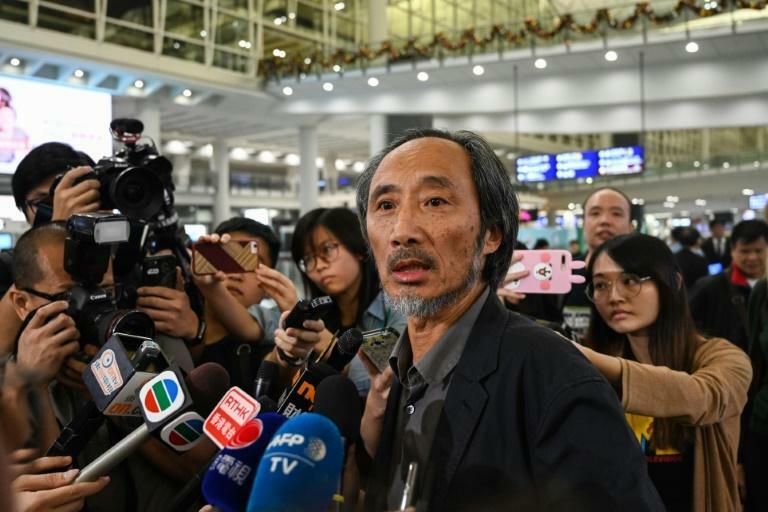 Dissident Chinese author Ma Jian arrived in Hong Kong Friday vowing to speak at the city's literary festival as a major arts centre that had pulled out of hosting him changed its mind. The new Tai Kwun arts complex, which hosts the Hong Kong International Literary Festival, said Thursday it had cancelled Ma's two speaking events after venue director Timothy Calnin said he did not want it to become "a platform to promote the political interests of any individual". Ma, whose books are banned in mainland China, is due to promote his latest novel "China Dream", a title that plays on Chinese President Xi Jinping's rhetoric of national rejuvenation and is described by publisher Penguin as "a biting satire of totalitarianism". A replacement venue also pulled out Friday as concerns grow that freedoms are dying in the semi-autonomous city under an assertive China. Calnin said Friday the centre had reconsidered and would host Ma as an alternative venue had not been found. "Mr Ma has made public statements which clarify that his appearances in Hong Kong are as a novelist and that he has no intention to use Tai Kwun as a platform to promote his personal political interests," Calnin said in a statement. Festival organisers said they were "delighted" with the decision. "The principles of free speech and cultural expression are central to our mission as an international literary festival," they said in a statement. 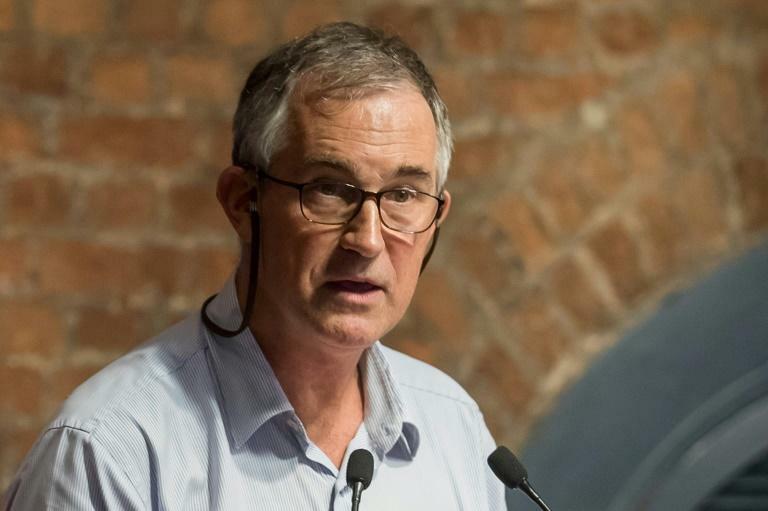 Ma had expressed concern he would be barred from Hong Kong after senior Financial Times journalist Victor Mallet, a British national, was refused entry to the city Thursday night. But speaking to reporters in the arrivals hall Friday evening Ma said he had been let through without any questions from immigration officials. "For a writer, the most important thing is to emphasise freedom of thought, including freedom of speech. Without these two, one is not a writer," he said. "The talk must go on. Even if only one Hong Konger wants to attend. Even if only one reader wants to talk to me," he added, before Tai Kwun reversed its decision. Ma blamed "some organisation" above the Hong Kong Jockey Club, which runs Tai Kwun, for the original decision. "Simply because a book has the name 'China Dream' they don't allow us to hold the talk. This is terrifying," he said. Ma has Hong Kong residency which entitles him to live and work in the city but he said he entered using his British passport. He described Hong Kong as his second home but said this would be his last visit. "I don't even know whether I will be disappeared when I walk on Hong Kong streets tomorrow," he told reporters. The city's publishing sector has taken a hit since five booksellers known for printing gossipy titles about China's leaders disappeared in 2015 and resurfaced in custody on the mainland. Since then some of Hong Kong's bookshops selling works banned in China have closed, and chain stores have removed the titles from their shelves. Veteran journalist Mallet had already had his work visa renewal denied last month and had left Hong Kong, but was barred when he tried to come back in for a short stay as a visitor. The FT issued a statement Friday saying Mallet had been "returning to Hong Kong to finalise some business and personal matters". Security minister John Lee insisted Friday the decision to prevent Mallet from entering as a tourist was "nothing to do with freedom of expression and freedom of the press" but would not reveal the reasons. The FT said Friday that it had still not received an explanation for the original visa denial and was awaiting the outcome of an appeal. The treatment of Mallet has earned rebukes from foreign governments and international rights groups. Hong Kong Journalists Association warned Friday of the "death knell" for freedom of expression in the city, describing it as a "dark week for freedom of expression in Hong Kong". Three ride-hailing apps put to the test in Hong Kong – Uber, Fly Taxi and new cab industry-backed eTaxi. Which came out on top?